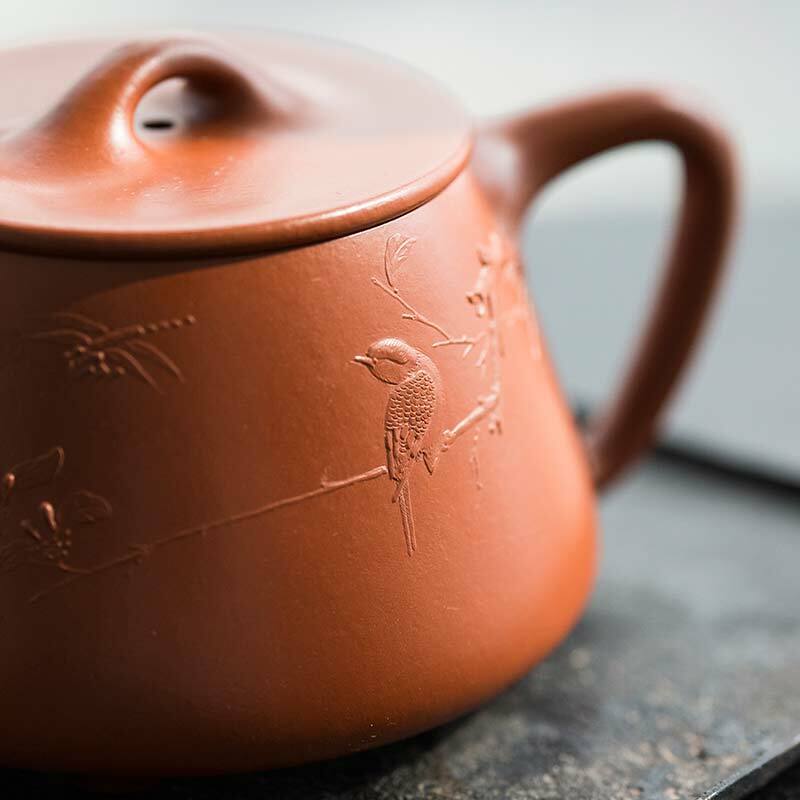 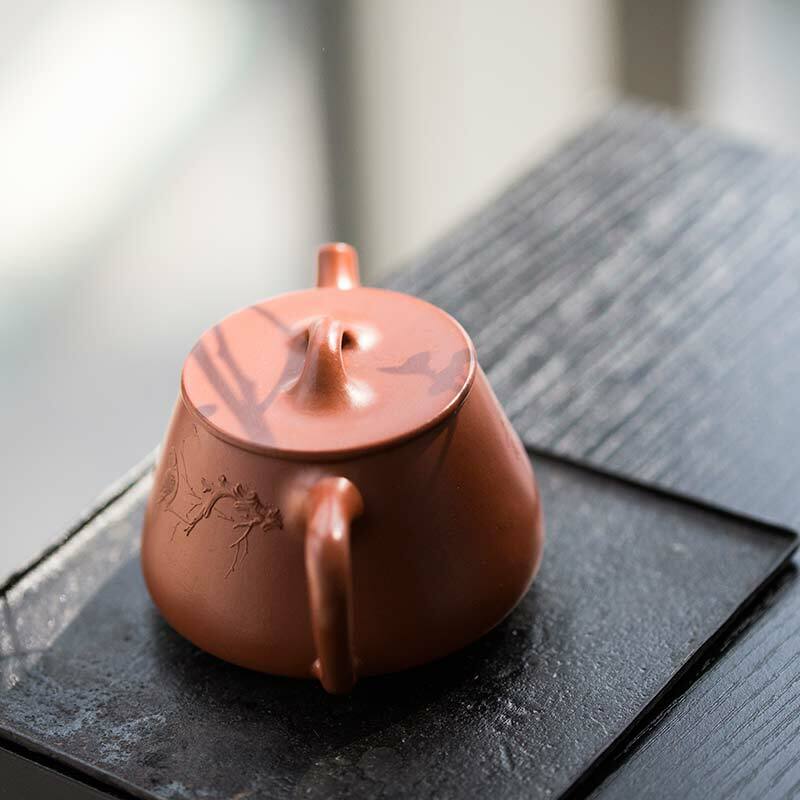 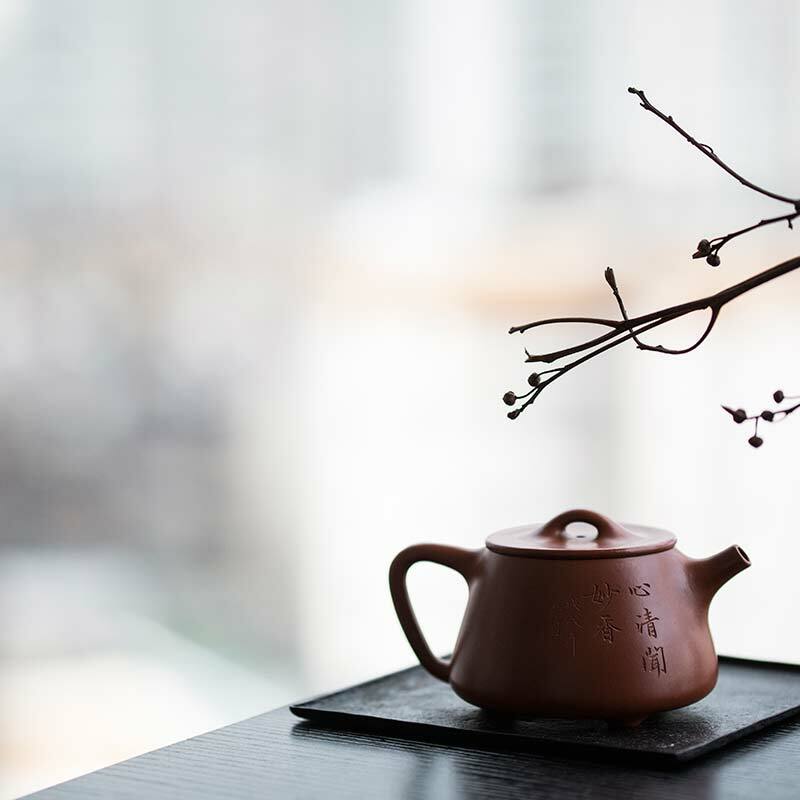 This Shipiao shape Yixing teapot is fully handmade and features a “nihui” style engraving that includes a bird on a branch with a dragonfly that has come to visit. 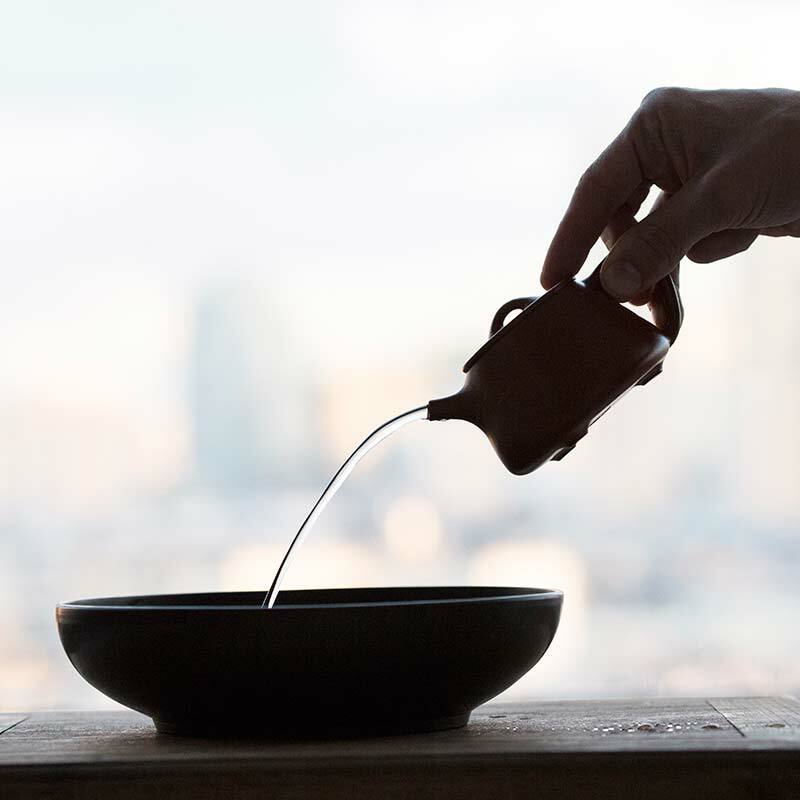 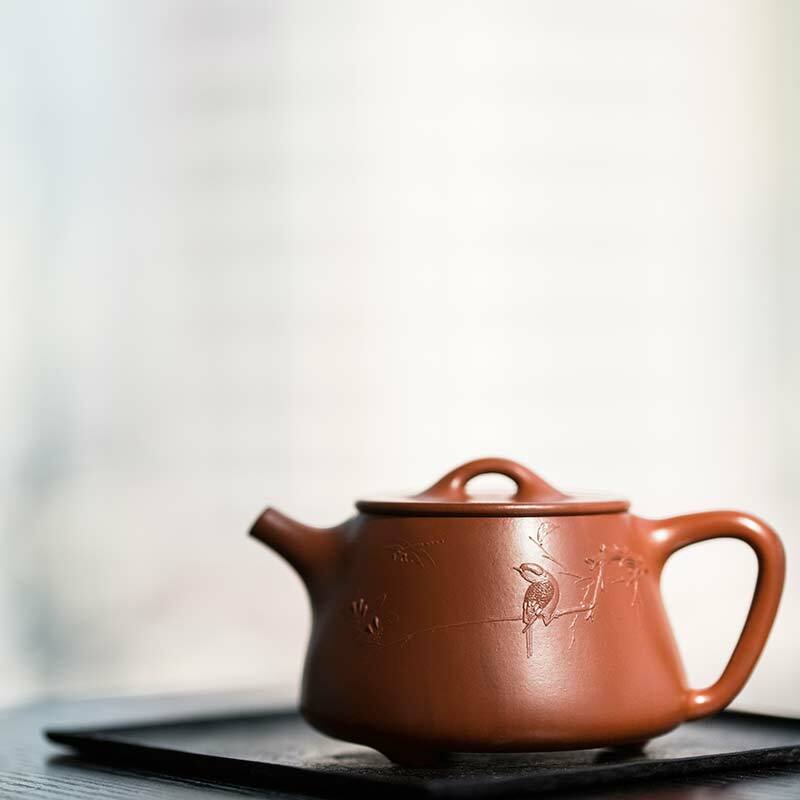 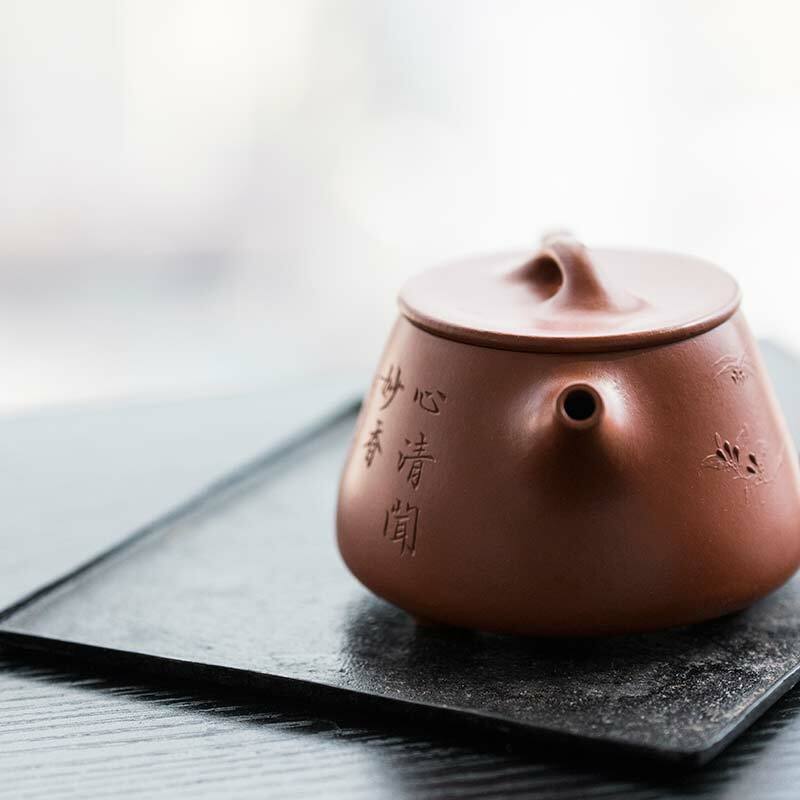 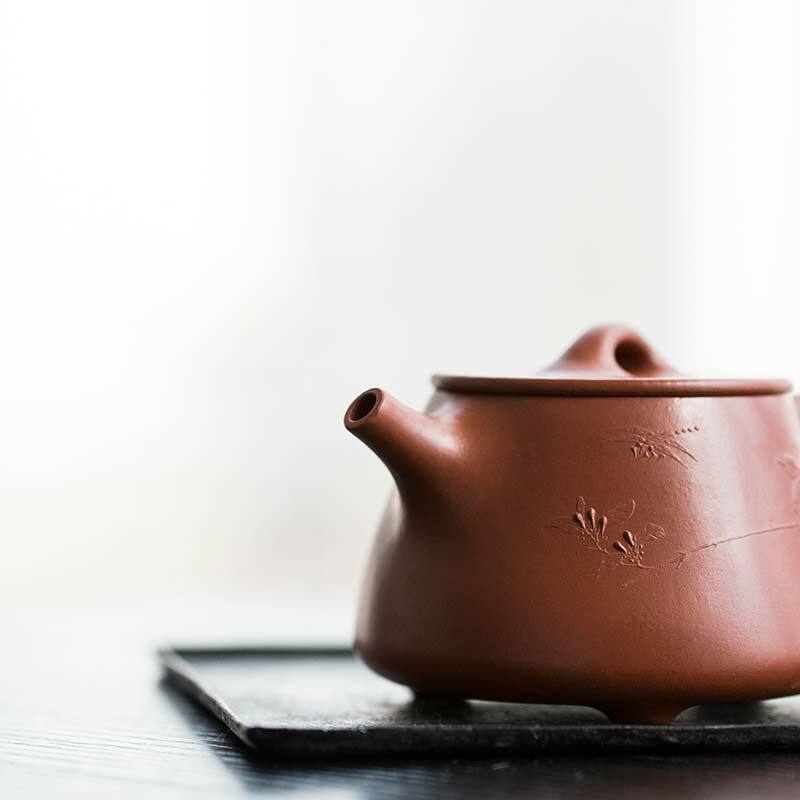 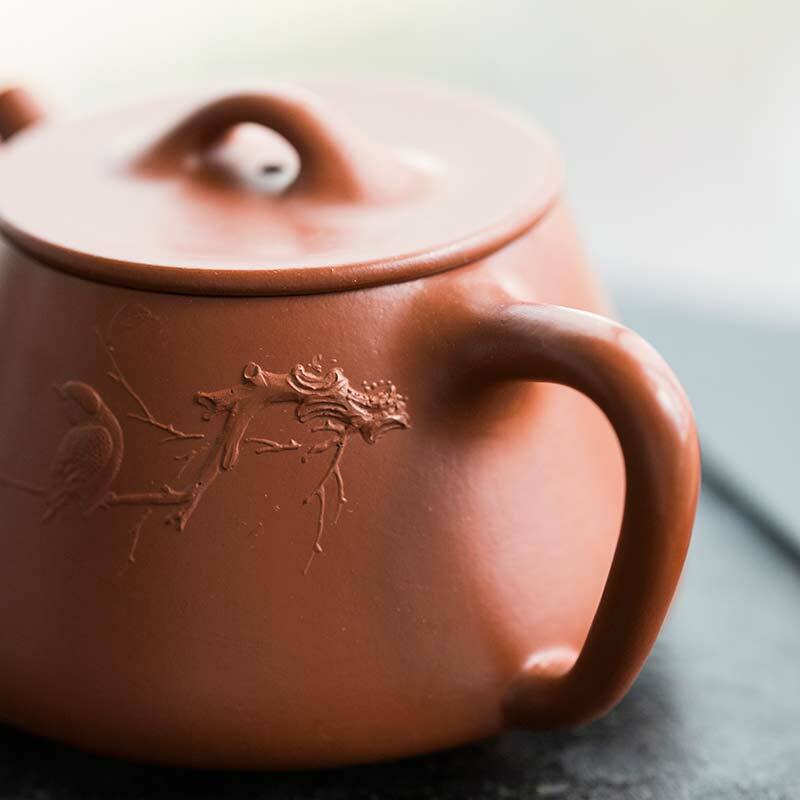 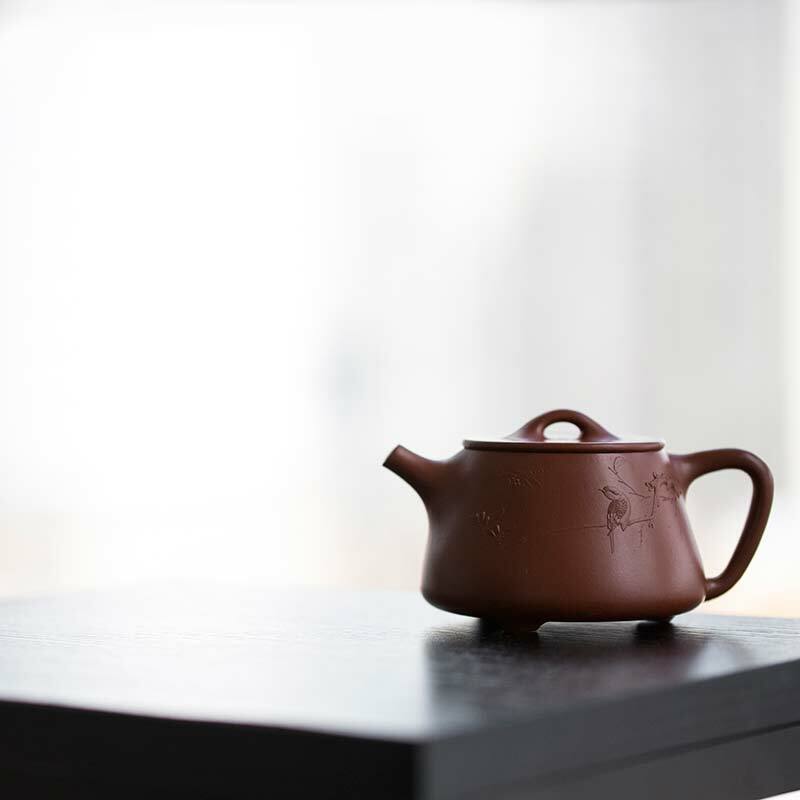 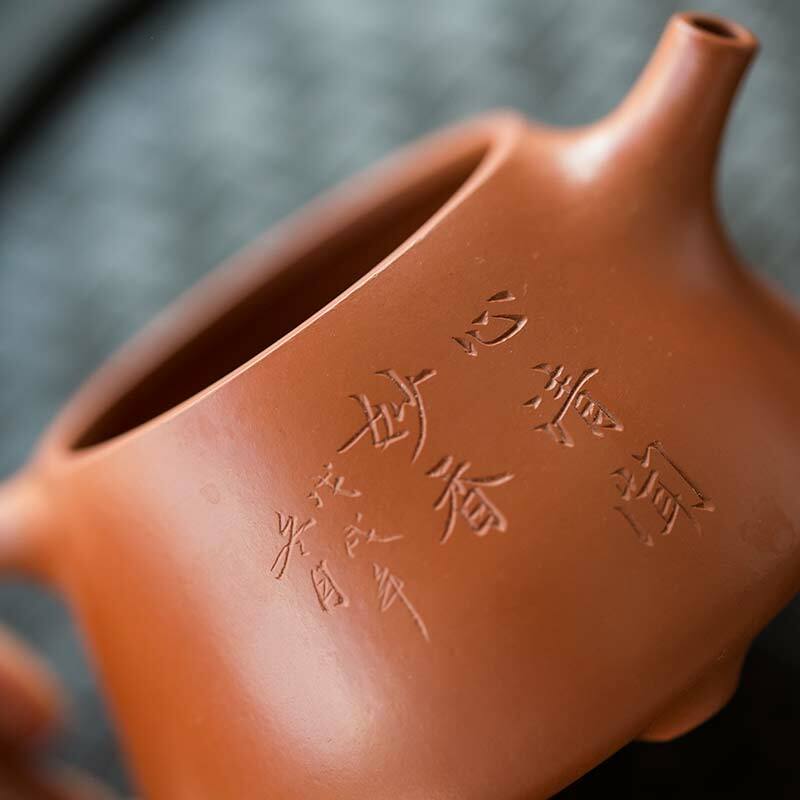 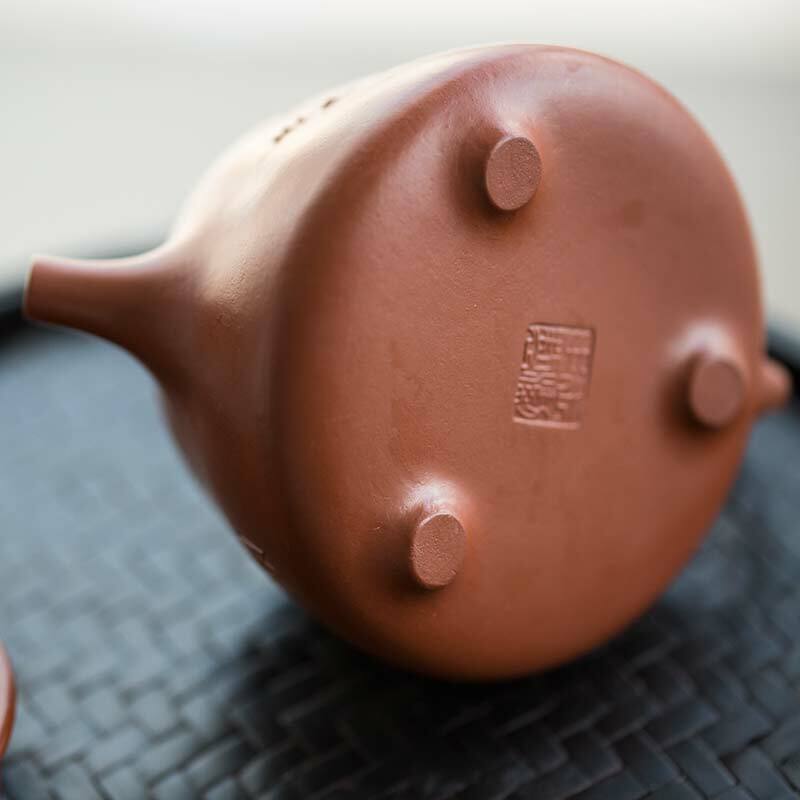 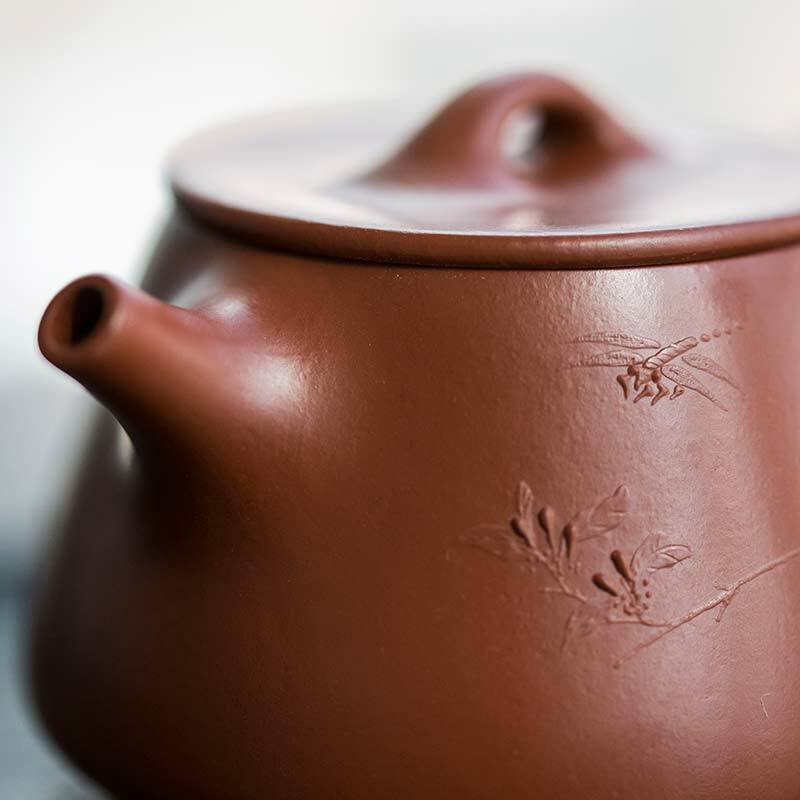 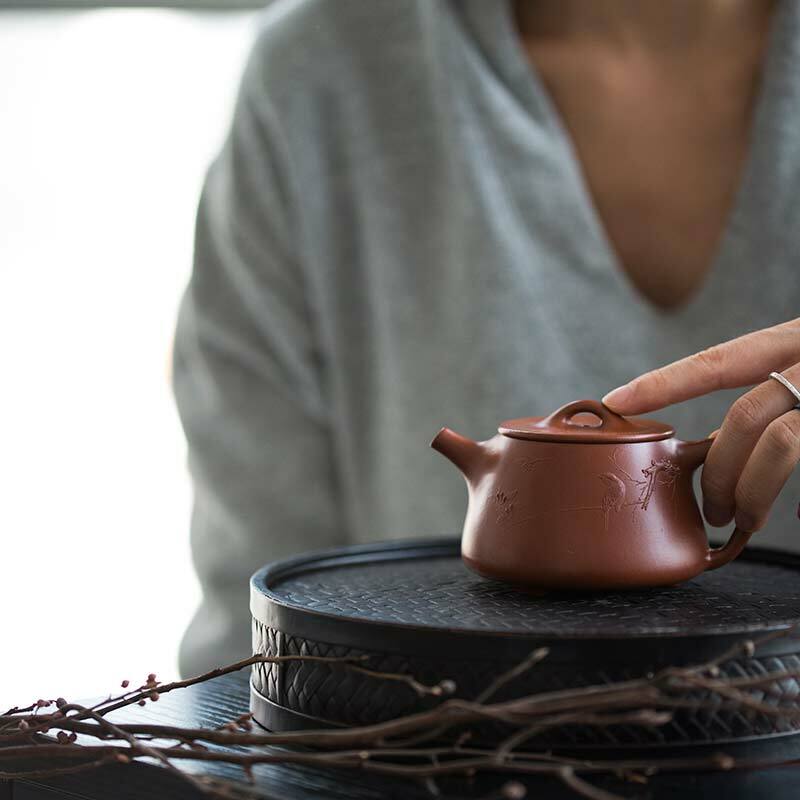 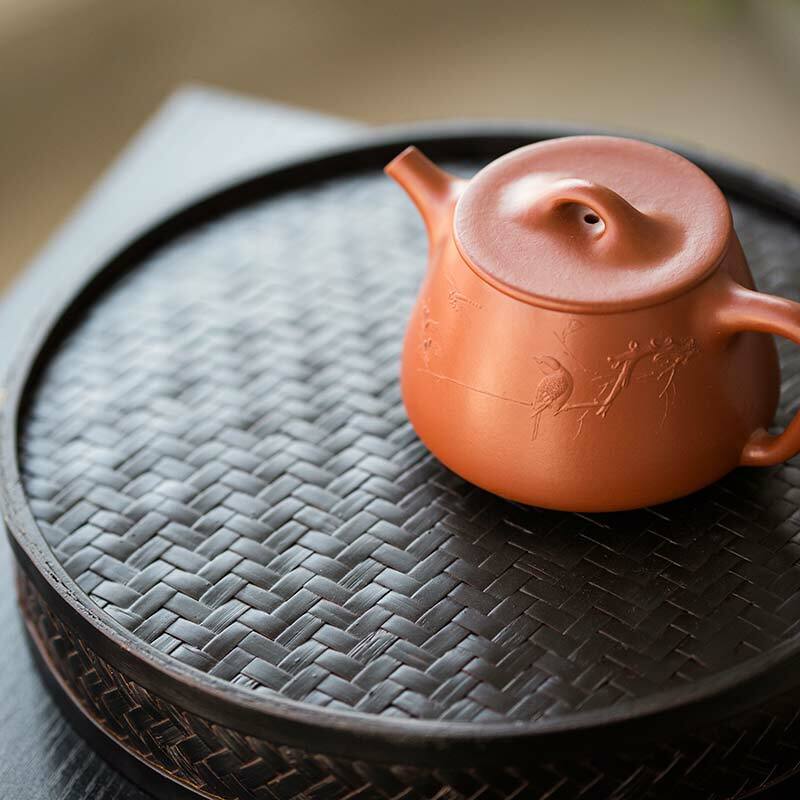 This style of design is achieved by adding small amounts of zisha clay to the surface of the teapot and then hand-sculpting the artwork before firing. 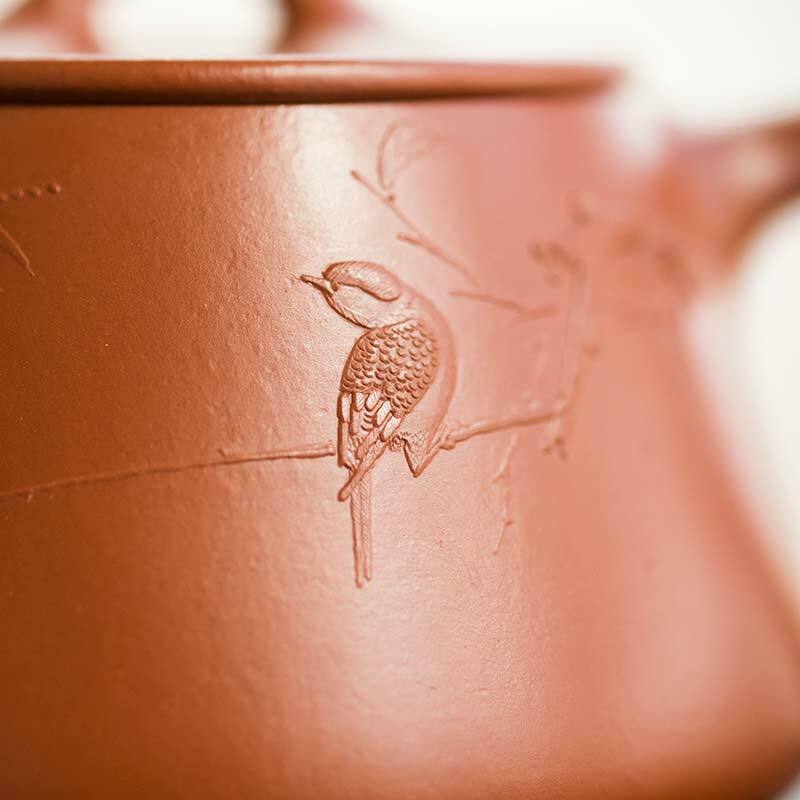 Each of the teapots from this series employs a higher level of craftsmanship and artistry than what is commonly found, which is reflected in the quality and overall fit and finish. 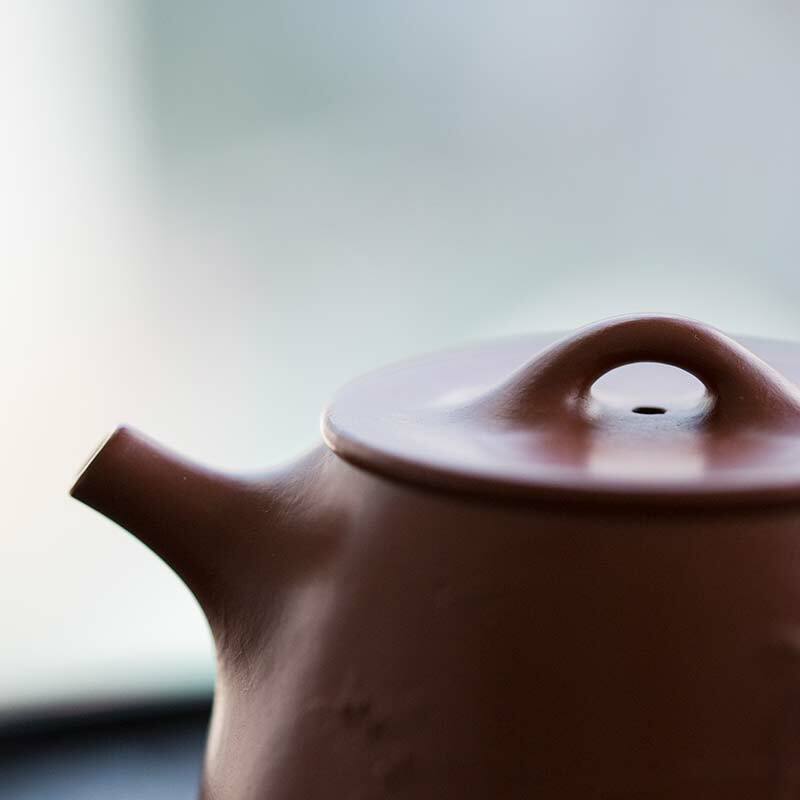 This teapot holds approximately 200ml and features a multihole-flat filter and tight-fitting lid. 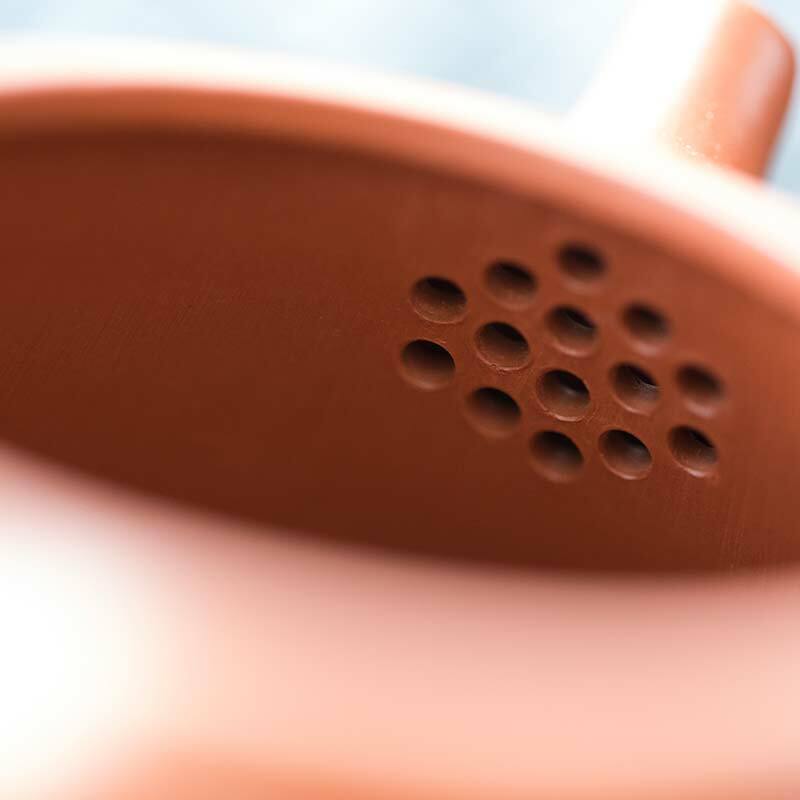 Due to the shape and construction, this pot gives off a very high pitches and resonant sound when contact is made with the lid. 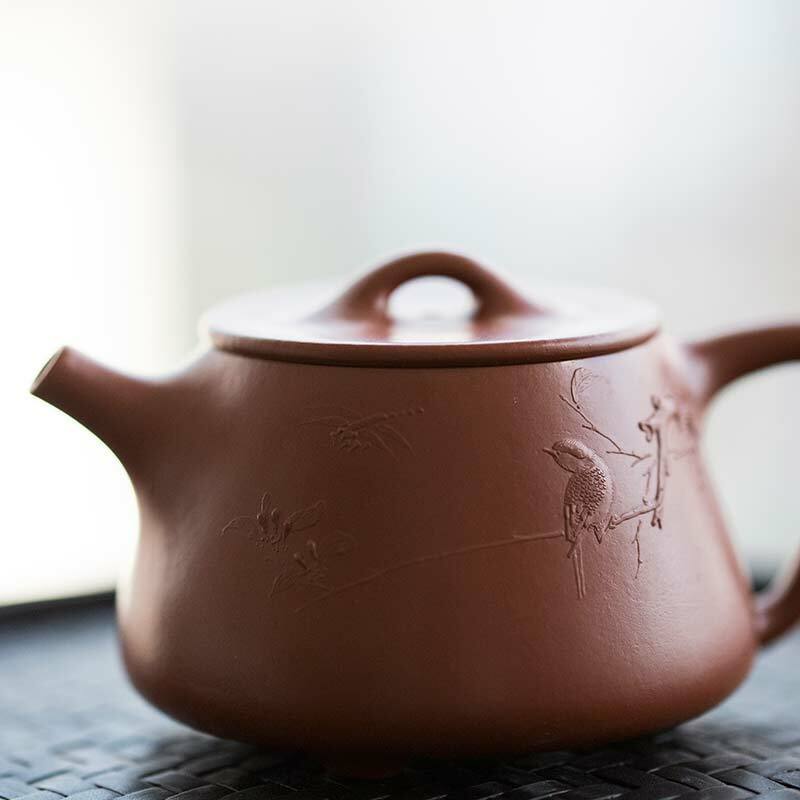 It also includes a certificate from the artist indicating the artist’s name, teapot shape and clay composition.